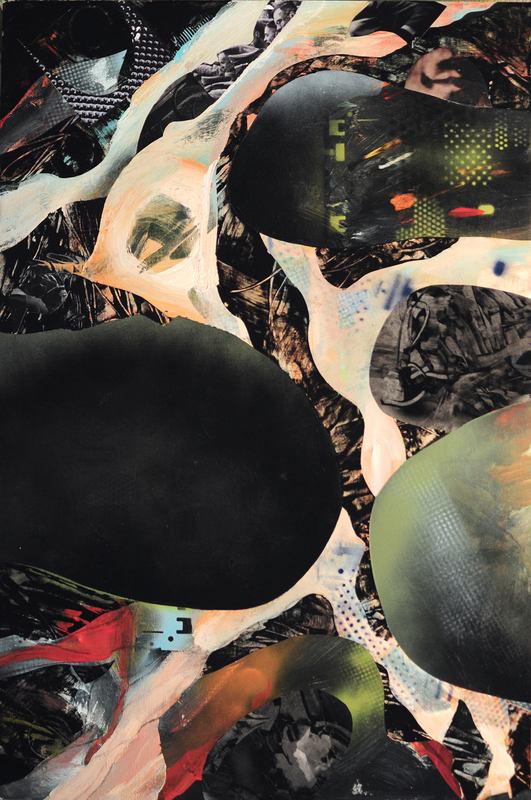 Ink, acrylic, beeswax and resin on panel, 30" x 30" x 2"
Exhibition Opening: Saturday, September 28, 2013 from 2 - 5 pm. Show continues until October 9, 2013. A selection of stunning and great works from throughout the Town's career. Please come in and have a look at how a great artist developed and changed over time and how time changes an artist. Click here to read more on Harold Town. A selection of stunning new works by various gallery artists such as Gordon Lewis, Joice Hall, Dori-ann Steinberg, Bruce Head, & more! Styles varying from Abstract to Realism to appease various tastes and desires. A selection of gallery artists works to celebrate the coming of the new year. A special selection of works by our gallery artists for the holiday season. New works by: Simon Andrew, Walter Bachinski, Nancy Boyd, William Duma, Brent Laycock, Phil Darrah, Isla Burns, Robin Smith-Peck, Steve Mennie, Robert Marchessault, and special introduction of works by Hilda Oomen and Marlene Bowman. This painting installation & Exhibition is my attempt to recreate the drama and beauty of Haida Gwaii and Gwaii Haanas National Park Reserve, National Marine Conservation Area Reserve and Haida Heritage Site that I experienced during my participation in the 2016 Artists in Gwaii Haanas Residency Program. 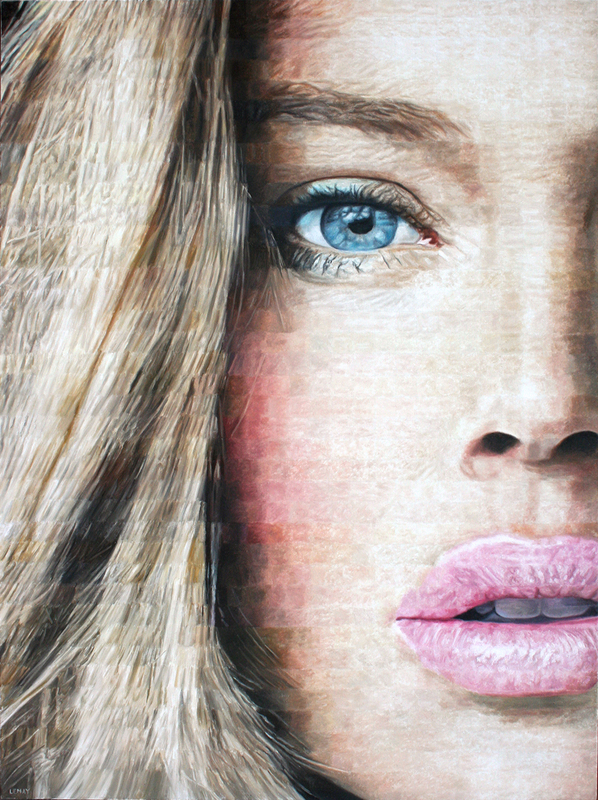 A selection of various gallery artists with a focus on abstraction and figure. Works by Robert Lemay, Laurie Steen, Herbert Siebner, Bruce Head, Steve Mennie, Linda Nardelli, David Newkirk, Camrose Ducote, Nancy Boyd, and Luc Bernard. A group show showcasing a diversity of Canadian art. Works by; Robert Lemay, Brent Laycock, William Duma, Gregory Hardy, Harold Town, Jennifer Hornyak, Diana Zasadny, Phil Darrah, and more. Sponsored by Prophecy Wine on Saturday, May 5 at reception. “Advertising logos pepper tapestries of billboards, street signage and bus banners across urban landscapes in cities and rural villages all over the world. Branding, an essential tool for marketing and identity construction in late capitalism, serves as a mode of communication rife with meaning about access, possession, and consumption. In Brand, Vancouver-based artist Andre Petterson explores themes of globalization and cultural homogenization through the dissemination of visual ephemera in the marketing campaigns of large western corporations such as Disney, Coca-Cola, and the Louis Vuitton Group. Line, shape, form, pattern, and symmetry; this group exhibition showcases works that identify with such elements of Geometry. Showcasing works reminiscent of Cubism, and Geometric Abstraction, this exhibition is perfect for art lovers and math lovers alike! Featured artists: Herbert SIEBNER, Harold TOWN, Luc BERNARD, David NEWKIRK, Toni ONLEY, David SORENSEN, Kenneth LOCHHEAD, Ronald BLOORE, Steve MENNIE, Dori-Ann STEINBERG & Bruce HEAD. In recognition of International Woman’s Day on March 8th, we will be exhibiting an all-female group show in the gallery. Artists included; Nancy BOYD, Isla BURNS, Jennifer DICKSON, Camrose DUCOTE, Joice M. HALL, Jennifer HORNYAK, Linda NARDELLI, Dorothy KNOWLES, Robin SMITH PECK, Erika OLSON, Laurie STEEN, DoriAnn STEINBERG, Diana ZASADNY. Looking for something for that someone special? Featuring works by a variety of our gallery artists, you are sure to find something that will make your heart skip a beat! 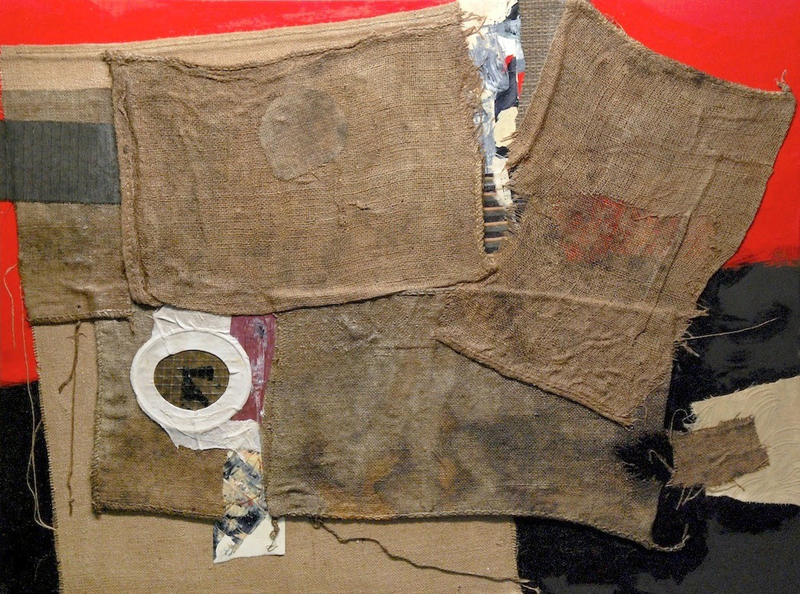 Featuring works by Simon ANDREW, Jennifer HORNYAK, Dorothy KNOWLES, Brent LAYCOCK, Linda NARDELLI, Laurie STEEN, Jim STOKES, Bill WEBB, Bill DUMA and more. Throughout all art movements, the element of light is consistently used as an artist’s tool. Although this tool appears in varied forms and uses from artist to artist, movement to movement, it is consistently made captivating by its universal quality. This exhibition features works that explore light, in whatever form that may take. “Light is not so much something that reveals, as it is itself the revelation”. –James Turrel. Featured artists: Diana ZASADNY, Kenneth LOCHHEAD, Andre PETTERSON, Robert LEMAY, Joice HALL, Shi LE and more. We’re starting 2018 off with a spectacular group show! Featuring works by Alain ATTAR, David ALEXANDER, Nancy BOYD, Camrose DUCOTE, Ted GODWIN, Greg HARDY, Robin SMITH PECK, Robert MARCHESSAULT and more. A selection of small works perfect for that special someone. 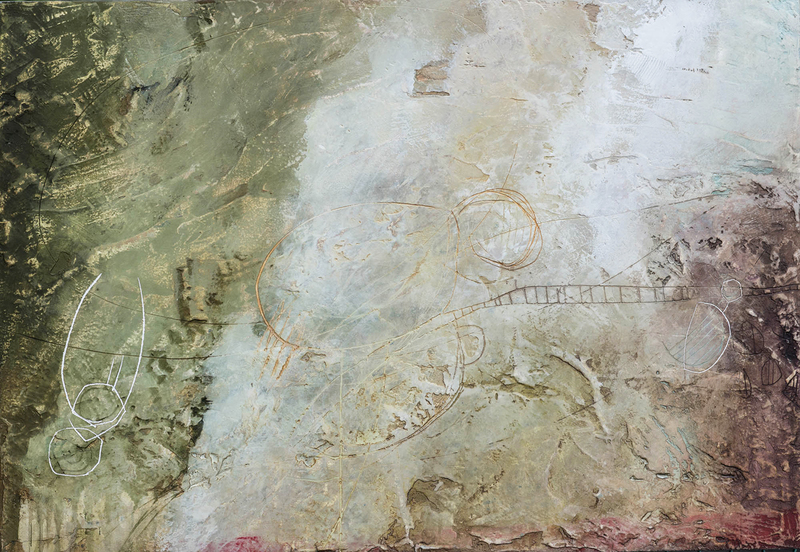 Works by: William Duma, Toni Onley, David Sorensen, Nancy Boyd, William Webb, Simon Andrew, David Alexander, and more. Something to get away from it all…. In a time of the year where the days are short and the light is low, everyone is looking for some way to get away from it all. This exhibition illustrates how several of our artists utilize art as a way to escape. This show includes works by: Robert Marchessault, Linda Nardelli, David Newkirk, Nancy Boyd, Andre Petterson, Robin Smith Peck, and more. Opening reception: Saturday October 28th from 2-5PM: Live jazz and meet the artist. An assorted selection of new works from local areas exemplifying Duma’s ability to play with light. This group exhibition explores the relationships that art critic Clement Greenberg had on 5 artists, and looks at how his connection with each impacted their careers. Artists; Ronald BLOORE, Ted GODWIN, Dorothy KNOWLES, Kenneth LOCHHEAD, Harold TOWN. In the through of summer we bring you some new and exciting works by various of our artists, such as; Robin Smith Peck, Shi Le, Ted Godwin, Robert Lemay, Nancy Boyd, David Alexander, Brent Laycock, and more! Summer brings a growth & transformation in nature that we see with flowers blooming and crops bearing their fruit. Abstraction is much like this; rising and emerging from landscape, still life, and/or an idea. It's with this in mind that we present our Summer Group Show, featuring; Linda Nardelli, Harold Town, Kenneth Lochhead, Laurie Steen, Camrose Ducote, Jennifer Hornyak, Andrew Lui, and more! For the Calgary Stampede we wanted to celebrate our heritage and nature from our diverse group of artists, such as; Andy Peterson, Ted Godwin, Jim Stokes, Shi Le, Gregory Hardy, and more! In celebration of Canada’s 150th Anniversary we have selected a variety of pieces that celebrate our country, its diversity, and its artists! Please join us in celebrating our artists from across the country, such as; Herbert Siebner (Victoria), David Alexander (Kelowna), Diana Zasadny (Lethbridge), William Duma (Calgary), Dorothy Knowles (Saskatoon), Bruce Head (Winnipeg), David Newkirk (Toronto), David Sorensen (Montreal), and more! Artist Talk at 415PM with Simon Andrew on Saturday, May 13th for the Art Dealers Association of Canada (ADAC) National Art Hop in celebration of Canada's 150th Birthday! These paintings of the land are less about accurately reproducing it and more about putting it's elements together in a way that has some meaning that can convince. 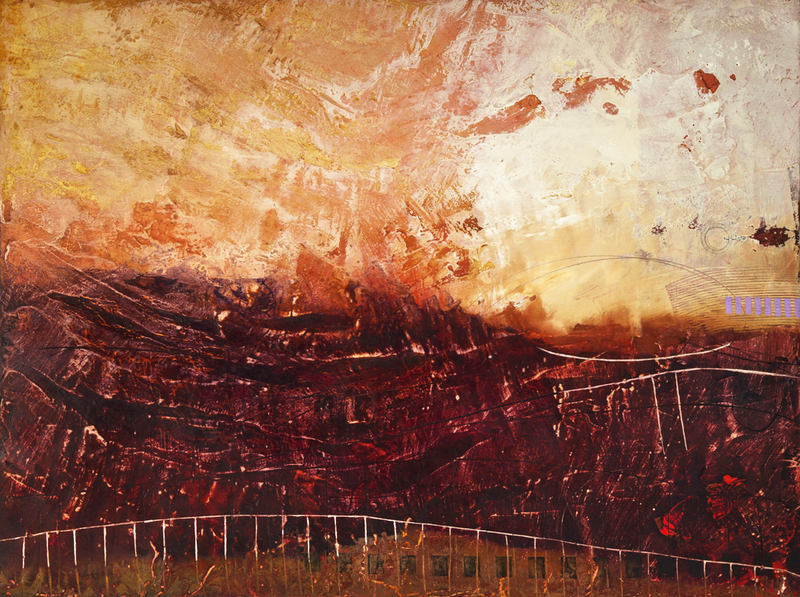 It is about using the landscape as a tool for the real aim, which is that of making a painting that make sense. Once a painting makes sense it refers back to its origins but in a way that it new. It is given a new identity. Like an actor, their face may be familiar but their lines differ when they play different characters. Jennifer Hornyak is known for her vivid and distinctly textured paintings that blur the line between figuration and abstraction. Drawing inspiration from her surroundings, she creates work that is both intimate and universal. Through both colour and texture, Hornyak builds a structure for each painting that emanates a still life motif. 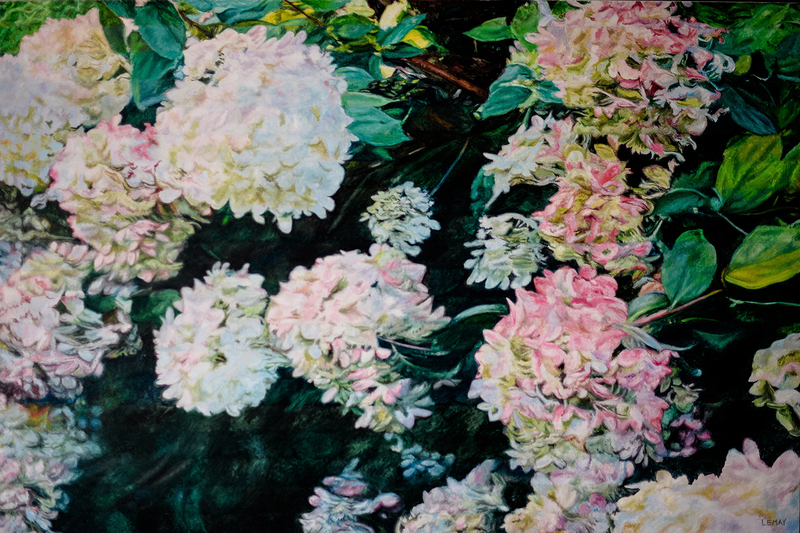 Hornyak uses areas of pale and deep hues to build up a well-integrated negative space that surrounds her freely-rendered floral still life subjects. The spontaneous brushwork and undiluted colour are reminiscent of the Fauve group of painters of a century ago. From March 30 to April 18th we will have on display a wide range of gallery artists. A fabulous selection of some of our great contemporary Canadian artists, including: Nancy Boyd, David Newkirk, Kenneth Lochhead, Ted Godwin, Erin McSavaney, and Harold Town, and more. We are also excited to introduce and announce that we are now representing Dorothy Knowles! New works arrived and on display for this exhibition as well. "Interiors: Studies of Woodlands and Forest" Opens Saturday March 11, 2017. This exhibition focuses on the nature of the landscape in new direction for Hardy. It follows its own abstract path, aware of trees as powerful elements in compositional decisions. It is a mixture of Trees and the edge of the forest. As always, however, the colours in his works are still guided by light. From February 16 to March 7th we will have a variety of our gallery artists up on display. Cozy up to­ the fire on a crisp, cold winter day with some fabulous new art! 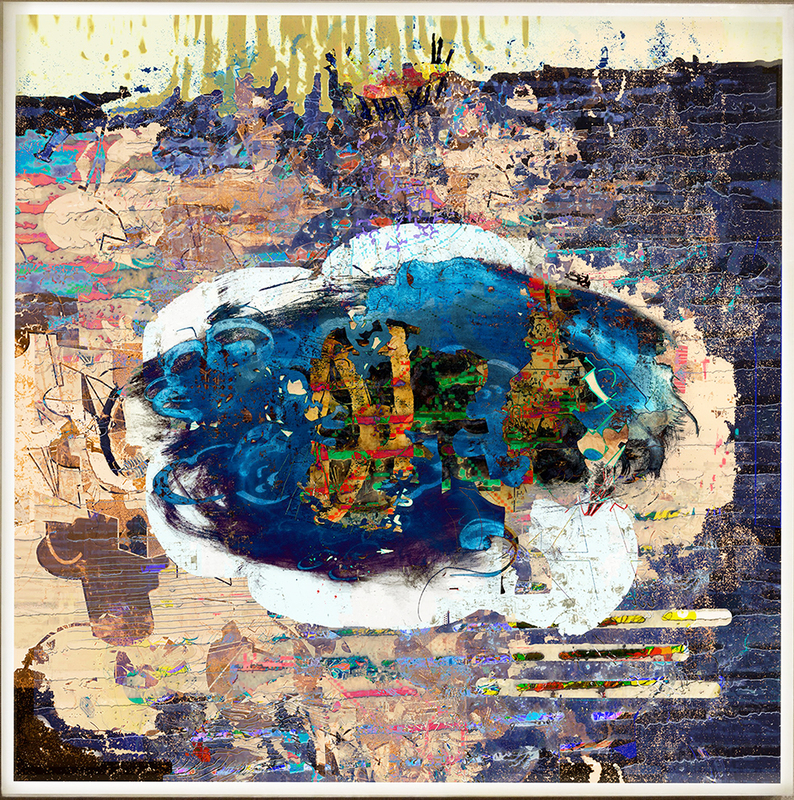 We have a great selection to choose from by various artists, including: Andrew Lui, Shi Le, William Duma, Andre Petterson, Laurie Steen, and W.H. Webb. In celebration of the heart, we have put together some smaller works for that special someone. Works included by: Simon Andrew, Gregory Hardy, Jennifer Hornyak, Robert Marchessault, Leslie Poole, and Walter Bachinski. Opening Reception: December 10th, 2-5pm. A selection of various gems for under the tree or as stocking stuffers by various gallery artists, including: Elza Mayhew, William Duma, Diana Zasadny, Nancy Boyd, Joice Hall, Gregory Hardy, Jennifer Hornyak, and more! Group Show of select gallery artists, including: William H Webb, Erika Olson, Kenneth Lochhead, Ted Godwin, Erin McSavaney, and Harold Town, and more. Works by various artists: Leslie Poole, William Duma, Joice Hall, Brent Laycock, and more! A play on the idea of "the Fifth Estate" - which is a reference to people who operate in journalism outside the "normal" constraints imposed on the mainstream media; the concept emerge around 1965. Thus, this show comprises of recognized artists from Five Estates operating outside the "normal" constraints of art. Group show, including works by gallery artist: Diana Zasadny, Leslie Poole, Gregory Hardy, Robert Marchessault, Peter Krausz, and Andrew Lui. Group show, including works by gallery artist: Simon Andrew, Walter Bachinski, Sylvain Louis-Seize, Herbert Siebner, Robert Lemay, and Linda Nardelli. Group show, including works by gallery artist: Simon Andrew, Andre Petterson, Walter Bachinski, Shi Le, Diana Zasadny, Brent Laycock, and more. This show displays the diversity and complexity of our various artists, such as: Erin McSavaney, Jim Stokes, Nancy Boyd, Jennifer Hornyak, Kenneth Lochhead, Robert Marchessault, Toni Onley, and David Sorensen. This show displays the diversity and complexity of our various artists, such as: Joice M Hall, Ted Godwin, Gregory Hardy, Bruce Head, Shi Le, Steve Mennie and Laurie Steen. This show displays the diversity and complexity of our various artists, such as: William Duma, Ted Godwin, Gregory Hardy, Peter Krausz, Shi Le, Steve Mennie and Laurie Steen. With a selection of oils, drawings, and prints this show exemplifies Town's diversity and originality. Town was a very chrismatic and exuberant member of the Painters Eleven. These hand-selected works from the Town estate are fabulous! We really hope you will be able to join us in celebrating Town's great contribution to art in Canada at the Opening on March 5th. Come and be wowed! In celebration of the heart, we have put together some smaller works for that special someone. Works included by: Simon Andrew, Gregory Hardy, Jennifer Hornyak, Robert Marchessault, Linda Nardelli, and Andre Petterson. Cozy up to­ Alberta's crisp, cold winter days and bright blue skies, with works by: David Alexander, William Duma, Joice M. Hall, Shi Le, Robert Lemay and W.H. Webb. In celebration of the New Year we have a selection of various gallery artists for everyone, including: Alain Attar, Bruce Head, Brent Laycock, Andrew Lui, and Linda Nardelli. Looking for something special to say "I am thinking of you" and "you are number one or the best"??? What better way to say it than with a one-of-a-kind piece of ART! We have some incredible works in for the Christmas season. Come in and be captivated by these precious gems! "The skies were particularly Wagnerian the winter of 2010 creating extreme drama over the lake...When the curtain of clouds broke up, the resulting sun rays introduced emerald greens and blues over the snow on the shadowed south slopes in contrast to the warm yellows, oranges, and pink in the sunlit areas." Artist Statement: "This series of paintings, spanning 25 years, was inspired by the now dramatically changed inner-city portion of Calgary's Elbow River." Artist Statement:"My paintings are always focused on the inside of forests, where subjects are alive with light, leading to endless changes of colour everywhere and at every moment. It is fascinating to see, to feel or simply to be there. Through "Stream of Light", I indulge myself flowing along with light where it goes." Group show, including works by: Simon Andrew, Linda Nardelli, Ted Godwin, Kenneth Lochhead, Harold Town, Jennifer Hornyak, Laurie Steen, Robert Lemay, and more. This exhibition features two great artists from eastern Canada. Both Hornyak and Newkirk have rich palettes and complement each other, albeit with very different approaches and subject. 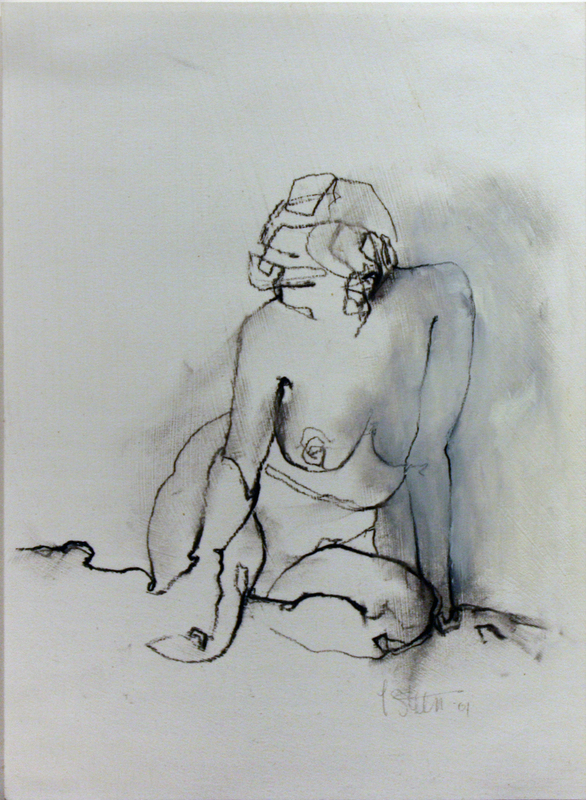 Hornyak concentrates largely on the still life with a sensual and very gestural brush. 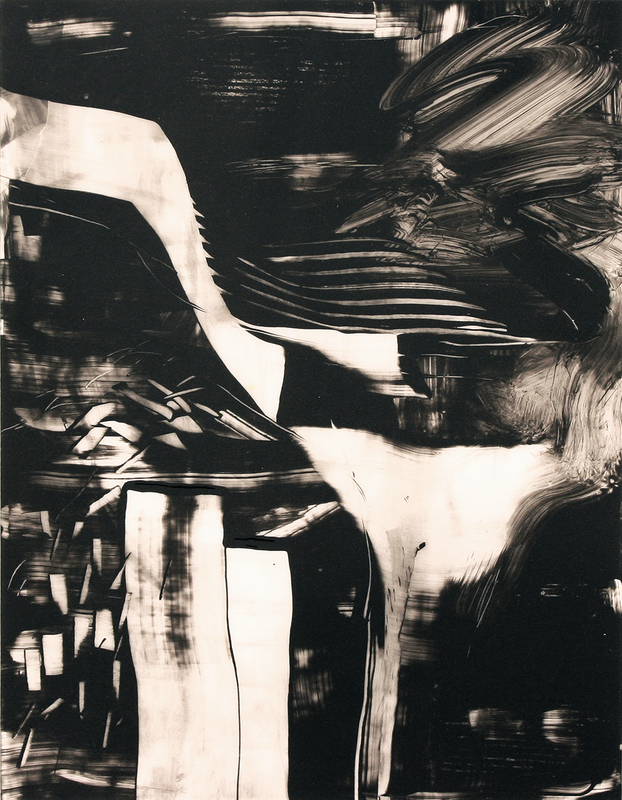 Newkirk's works are conversations from the abstract but also with a very fluid movement. According to chaos theory, general trends in the universe can be predicted by observation. However specific events cannot be predicted because they rely on an infinite number of unknown variables along the way. How very much like painting. The dilemma: how to get from here (the chaos and excitement of the un-manifested vision) to there (the specific finished painting). How to create a painting from a ‘chaos theory’ kind of process: a process that sometimes seems to thwart its own directions, that refuses to be predictable, that requires foresight to exploit unexpected accidents, that requires an occasional outrageous gesture to keep a piece vital……….but that also requires the courage to sacrifice small gems to the unity of the whole. Yet somehow, against the odds, a painting must feel inevitable and somehow finished in its final form. The ‘chaos’ struggles described above are certainly inherent in these new paintings. They are inspired by the spirit of the Wabi Sabi aesthetic/philosophy, an off-shoot of Buddhist thought. Wabi Sabi maintains three basic tenets: nothing is finished, nothing lasts, nothing is perfect. Linda Nardelli and Diana Zasadny are artists that paint what they feel. They bring to life in abstract and impressionism the sensory element of what they behold in their surroundings—exploring landscape, the sea, and the spirit of trees. Both Artists’ works have a compelling nature that invoke a deep sense of peace, beauty and refinement, as they merge personal experience with visual integrity. These artists create visual stories depicting the incredible sensitivity that nature emits, provoking in the viewer a deepening experience of their own visual senses. 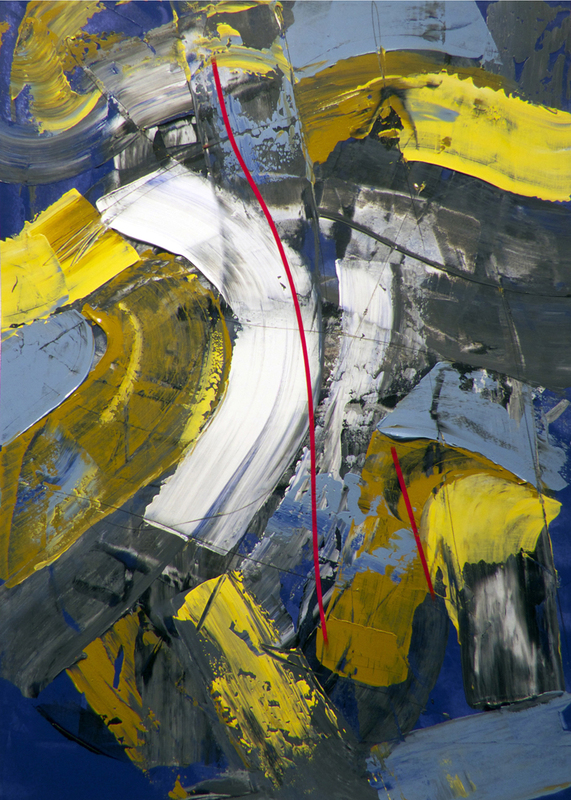 A selection of new works from our artists from across Canada, including; Shi Le, Andrew Lui, Bruce Head, Brent Laycock, Steve Mennie, Sylvain Louis-Seize, Jim Stokes and more..
Kenneth Lochhead: Colour Spaces is an exuberant reflection of Lochhead's life-long love affair with colour. Colour saturates the large abstract canvases of the 1960s, and dances across the landscapes of later years. Representation and abstraction were, for him, simply different aspects of the artist's vocabulary. Plastic form, with its elements of colour, light, line, and space, was the essence of coherent visual expression. 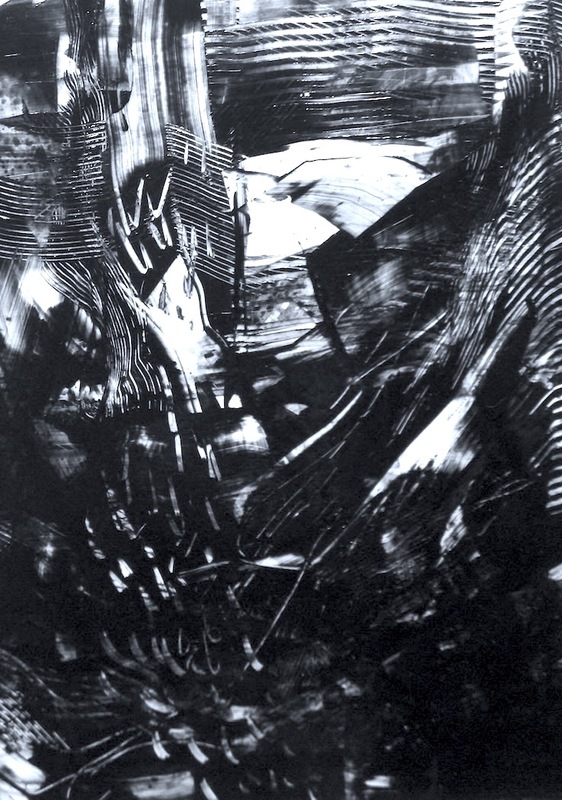 From 1950, when he was appointed Director of Regina College's art school, to his death in 2006, Lochhead participated in over 300 national and international exhibitions and received over 18 major Canadian and international art commissions. He was honoured with the Order of Canada in 1971, an Honorary Doctor of Laws from the University of Regina in 2001, and the Governor-General's Award in Visual and Media Arts in 2006. Through painting he found his own expression for love, joy, and the celebration of life. In celebration of the heart, we have put together some smaller works for that special someone. Works included by: Diana Zasadny, Simon Andrew, Linda Nardelli, William Duma, Leslie Poole, Brent Laycock, Toni Onley, and more. A selection of great new works from various gallery artists, including: Herbert Siebner, Harold Town, Alain Attar, Andy Petterson, and more. In celebration of the New Year we have a selection of various gallery artists for everyone, including: Erin McSavaney, David Newkirk, Bruce Head, Shi Le, Steve Mennie, Dori-ann Steinberg, and Leslie Poole. We have put together a selection of various subjects and media by our gallery artists for that special someone on your Christmas list. 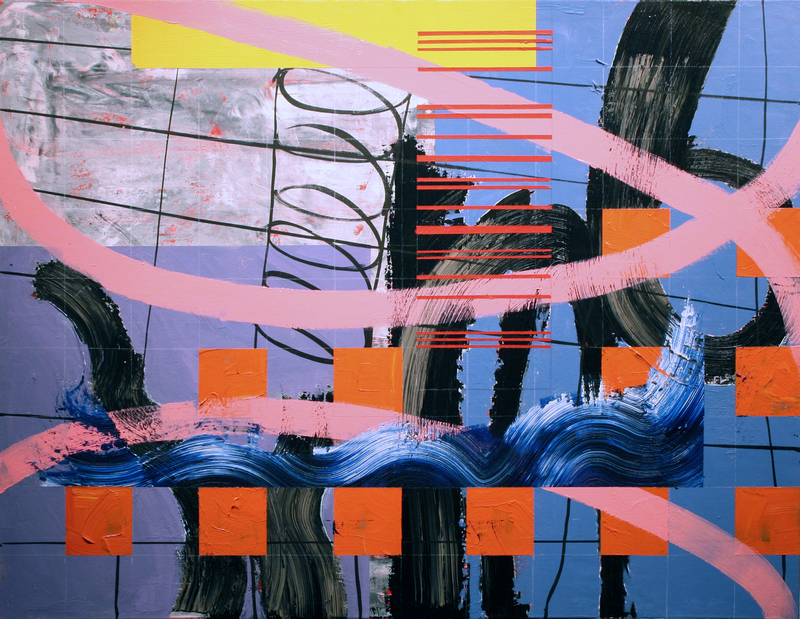 Works included by artists: Diana Zasadny, Luc Bernard, William Duma, Brent Laycock, Linda Nardelli, and more..
Motion and colour are two elements that are distinctive in Hardy's work. This show leads you down the path of the artist's impressions of Canadian Landscape and sky-scapes. Webb's artwork is like a window in your wall of the familiar and grandiose landscape of Alberta. **** 10% of sales on opening day will be donated to HOPE PROJECT. An organization supporting an orphanage in Kenya. This show is inspired by a recent safari by Petterson to Africa. The Zebra and Elephant left the strongest impression on him. They are dominant and symbolic animals in which moved Petterson during his travels. These works are metaphor for life, humanity, and nature. Fathers Day is quickly approaching and we wanted to put together a fabulous group show to celebrate Dad. A great selection of landscape paintings depicting the various parts of Alberta; both Land and Sky: Prairie and Mountains. These works are a great complementation of two artists; Gordon Lewis of Regina and Jim Stokes of Grand Prairie. A selection of works from the Estate of Ted Godwin. 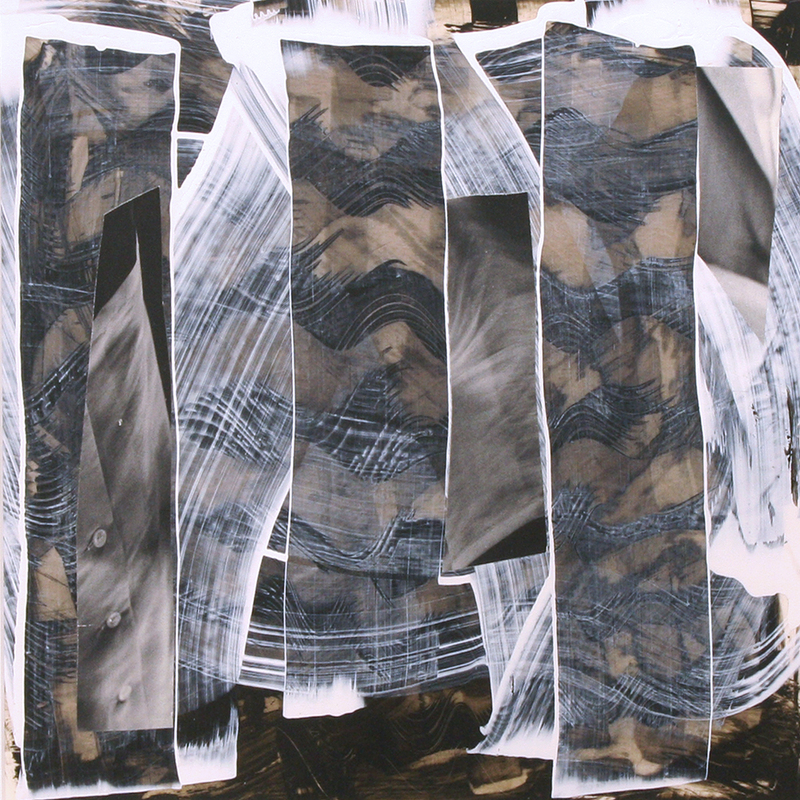 These works are a cross-section of Ted's career as an artist, painter, print maker, and teacher. 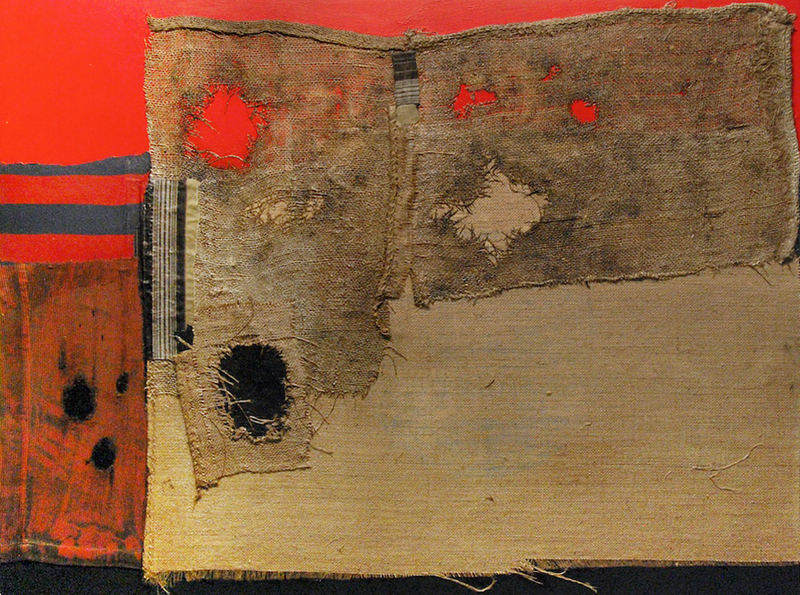 A member of the Regina Five; Ted Godwin was called "the Kid" and was one of the youngest artists to exhibit at the National Gallery at the age of 28 with the group. The Regina Five were instrumental in bringing action expressionism to western Canada. He was a great man; larger than life as can been seen and is expressed in these works. New Artists, New Art, New Year! Welcoming in the New Year, we are celebrating the newest additions to Wallace. Please join us in celebrating some fabulous art! Exhibition opening Saturday, November 16, 2013 from 2 - 5 pm. Artist in Attendance and live Jazz music. Please click here for more works by William Duma. Show continues until November 27, 2013. This Show exhibits the play of light as its long shadows falls upon the landscape and surroundings in the winter season. Hence we have decided to do our part to help. We will be offering 10% on any sales* from September 16 - November 16, 2013 to the Red Cross Flood Relief. This exciting and vivacious exhibition is to remember & celebrate some of Western Canada's great artists: the Limner Group. Founded by Herbert Siebner and spear headed by Maxwell Bates, this group informally brought together through a common desire and interest: a Passion for Art was inspirational in shaping the Victoria art scene and consequently Western Canada. These lively and eccentric artists consisted of: Maxwell Bates, Herbert Siebner, Elza Mayhew, Carole Sabiston, Colin Graham, Patricia Martin-Bates, Jan & Helga Grove, Nita Forrest, Walter Dexter, Jack Wilkinson, Richard Ciccimarra, Robert DeCastro, Karl Spreitz, Robin Skelton, Leroy Jensen, and Myfanwy Pavelic. This Show consists of some fantastic pieces of various media from tapestry to paintings to light boxes! All of these artist have exhibited and travelled across Canada and contributed to the greatness of this countries culture. Widely influenced by the human form and condition this show exemplifies the spirit and energy of Canadian art. 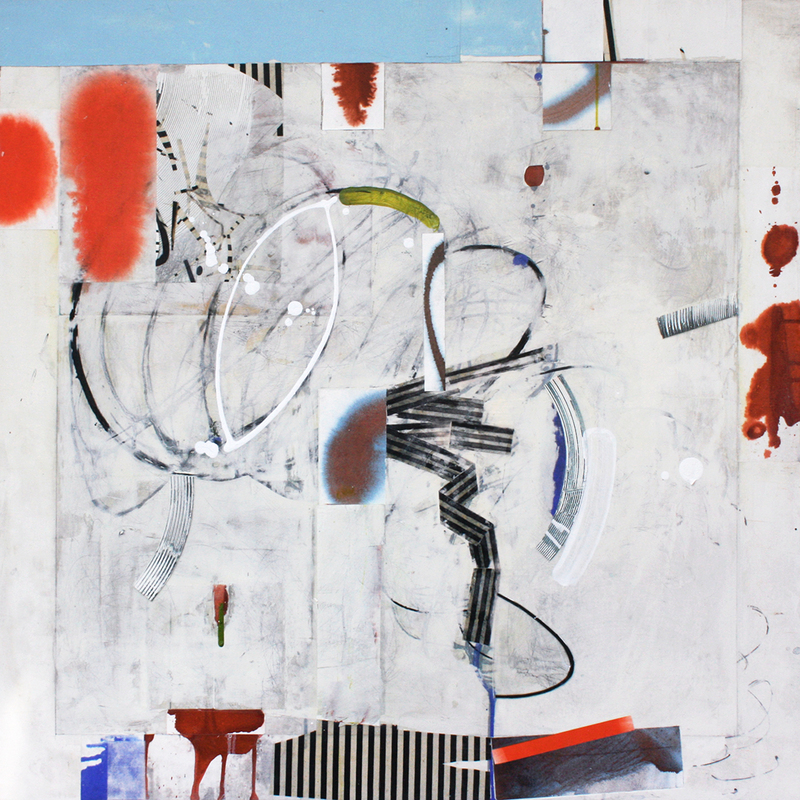 New works arriving through out the summer/fall by gallery artists such as Sylvain Louis-Seize, Gregory Hardy, Diana Zasadny, Shi Le, Barrie Szekely, William Duma, Brent Laycock, Alain Attar & more! Artist's included are: Nancy Boyd, Simon Andrew, David Newkirk, Shi Le, Gregory Hardy, Gordon Lewis, Erin McSavaney, Bruce Head, Linda Nardelli, and more. This Group Show exhibits some works by our various artists that have elements inspired by the west. This month we will be featuring a rotating show by Harold Town, Jennifer Hornyak, Ysabel LeMay, Dori-ann Steinberg, Barrie Szekely and more! A diverse selection of works by Poole exhibiting his strenghts as a still life painter, figure artist and landscape painter...a facinating and exciting exhibition! Exhibition Opening: Saturday, May 11, 2013 from 2-5pm. A cross section of works from Landscape to abstraction with bright colors in celebration of the season! Beautiful contemporary still life works on canvas. Show continues through to May 8, 2013 SHOW EXTENDED A FEW MORE DAYS! 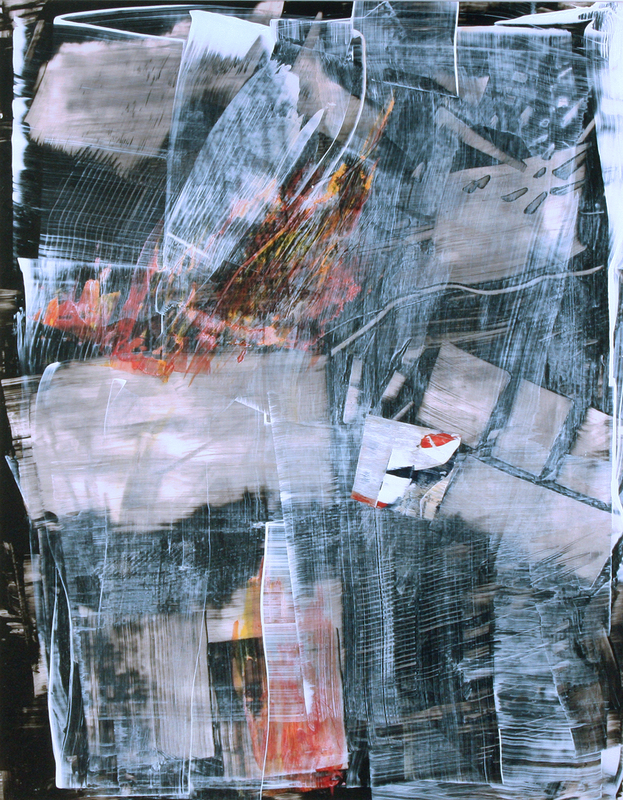 Some fantastic abstracted contemporary landscape works by Sylvain Louis-Seize. Opening reception: Saturday, April 6, 2013 from 2-5pm. Artist in attendance. Show continued throught to April 17th. **Preview of exhibition on April 4th. 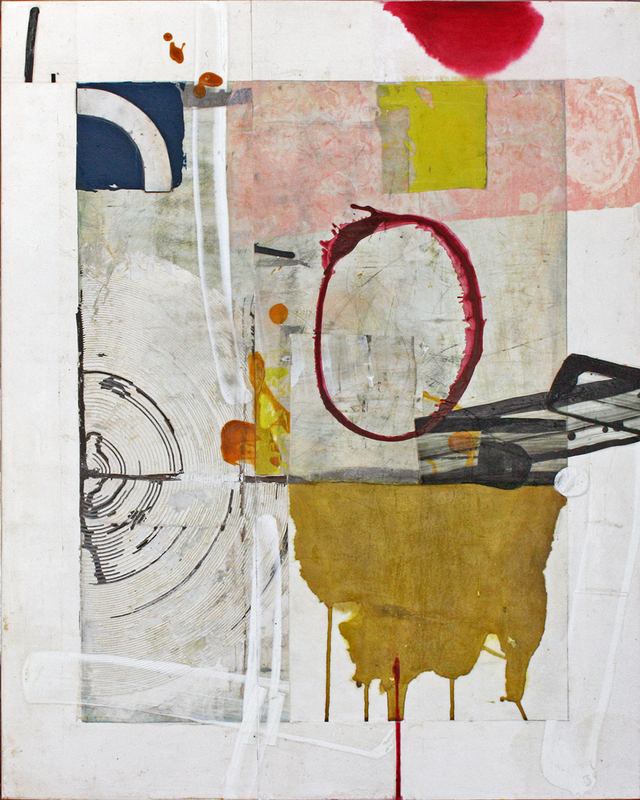 We are pleased to announce the new addition of David Newkirk to the gallery! Please stop in to view the newest works we have received. A contemporary edge with abstraction and flower accents. New works by gallery artists, including Harold Town, Leslie Poole, Jennifer Hornyak, Barrie Szekely, Ron Bloore, Camrose Ducote, and more…. Six artists from Alberta and BC are brought together in this exhibition to illustrate various approaches to exploring the abstract world in texture and colour. Opening Reception: Saturday, March 9th, 2013 from 2-5pm artists in attendance. Show continued to March 27th, 2013. This rotating exhibition will include various artists from our roster, including works by: Luc Bernard, Walter Bachinski, Gregory Hardy, Robert Lemay, Simon Andrew, Ted Godwin, Andy Petterson, Joice M Hall, and more. This show consists of works from various works of art by gallery artists. A variety of styles and sizes for that special gift. Artists included in this show are: Dori-ann Steinberg, Linda Nardelli, Leslie Poole, Jennifer Hornyak, Ted Godwin, Steve Mennie, Steven Nederveen, Sylvain Louis-Seize and more! Works imbued memories of places. These works are expressive and varied; they are often charged with a yearning quality; A remembrance of an event or a place that in retrospect seems more relevant. Please join us for the Opening reception: Saturday, December 1, 2012 with the artist in attendance from 2-5pm. This solo show by William Duma will feature paintings of Calgary's inner city homes. Please join us for the opening reception on Saturday, October 29th between 2- 5 pm. Artist in attendance. This show is a display of works viewed through the artist's heart. The works illustrate a feel of peace in the tranquility of nature and remembered places in time in an intuitive manner that engages both mind and spirit. Please join us for the Opening reception: Saturday, October 20, 2012 with the artist in attendance from 2-5pm. EXPLORING PERCEPTION by BRENT LAYCOCK (September 29-October 11, 2012) Inspired by Laycock's love of the southern Alberta landscape. He is always trying to push the interpretation and perception of this landscape into more dynamic visual expressions. This often involves exploring and experimenting with colours, shapes and compositions so that what was familiar becomes new again. Please join us for the Opening reception: Saturday, September 29, 2012 with the artist in attendance from 2-5pm. In celebration of the Calgary Stampede's 100 Year Anniversary, we will be featuring new works by Andre Petterson. G'iddy up Calgary and don’t miss out! 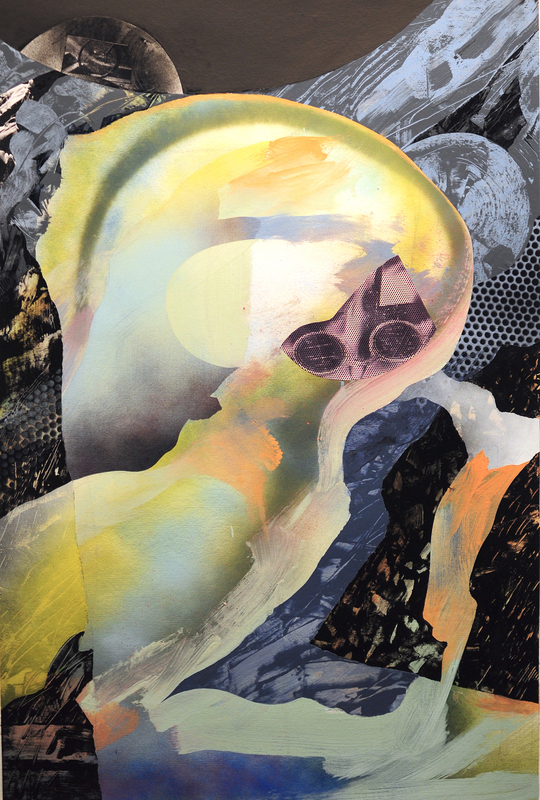 Opening reception on Saturday, May 12, 2012, between 2 – 7pm. Artists in attendance. Experiencing the landscape is a journey into the tangled relationship between the individual and the surrounding area, whether that it be in a secluded forest or on one of life’s winding paths. Both Shannon & Diana explore these ideas and invite the viewer to put themselves in the various locations. This combined body of work offers a unique view of the land by incorporating narratives and inspiring memories. “Common Ground” is an exhibition that not only visually pleasing but also thought provoking and not to be missed! 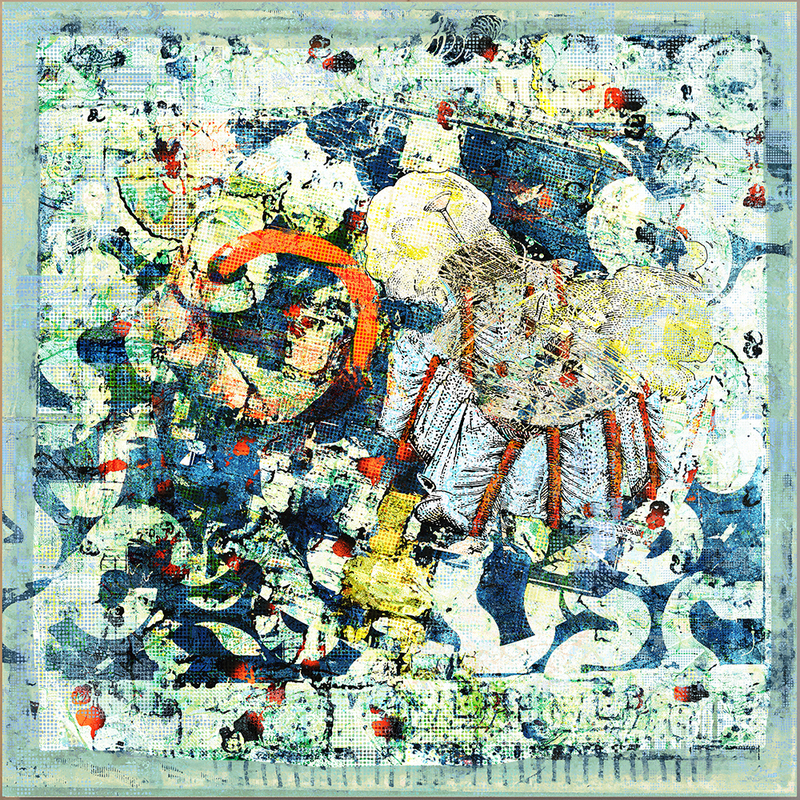 Opening reception on Thursday April 26, 2012, between 5 – 7:30 PM. Artist Talk: Saturday, April 28 between 1 – 2 PM. Calgary Artist Douglas Williamson has been preparing for this exhibition of biblical proportion for the past 2 years. “Urban Theology” is a unique exhibition that juxtaposes urban landscape, biblical storytelling and classical painting. In contrast to traditional religious paintings, Williamson narrates Old & New Testament passages using Magpies, Crows, Sparrows, and other urban creatures; implanting positive and negative anthropomorphic qualities. He says “Birds much like humans, are intelligent, beautiful and yet at the same time can be vile and deceptive.” Within each painting there lies a rich narrative; one which engages the audience to ask the greater questions of life. 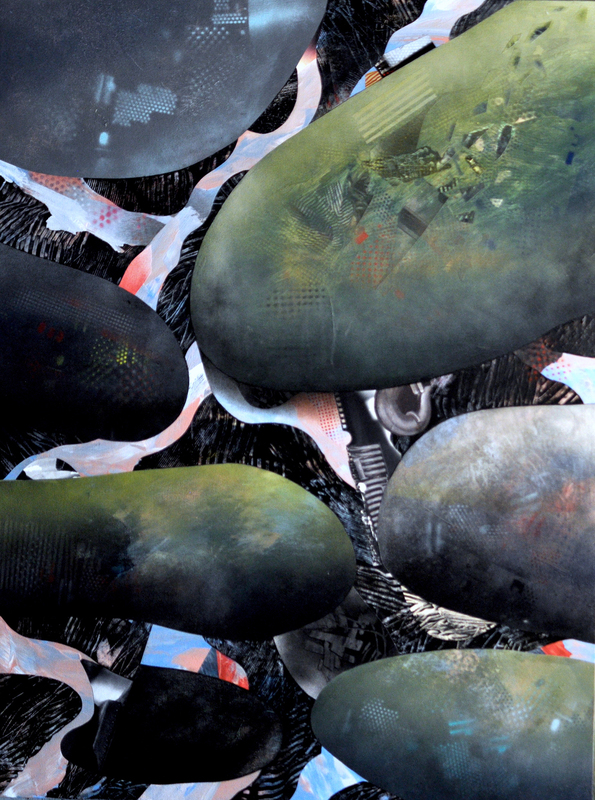 Opening reception on Saturday, March 17th, 2012, between 2 - 5pm. Artist in attendance. Photorealist William H. Webb explores the Southern Alberta landscape unlike most painters. His meticulous attention to detail evokes wonder and awe for the viewer and invites them to explore the grandiose landscape. 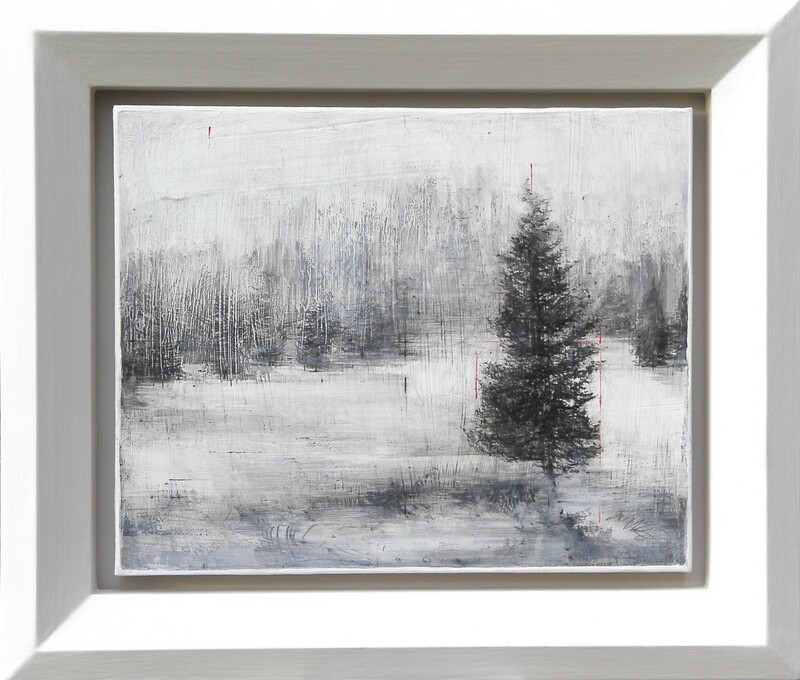 During the holiday season we will be featuring small paintings hung salon style through out the gallery, because everybody knows good things come in small packages! Works by Andy Petterson, Luc Bernard, Jennifer Hornyak, Tim Merrett, Nancy Boyd, Simon Andrew, Steve Mennie, Doug Williamson, Brent Laycock, Shannon Williamson, William Duma, Shi Le, M.A. Tateishi, Harold Town, Mary Ann Wilson, Sylvain Louis-Seize plus more! An exhibition of remembered places in time in an intuitive manner that engages both mind and spirit. They evoke a sense of journey and imagination in the viewer with their creative palate and evocative movement. Please join us for the Opening reception: Saturday, November 3, 2012 with the artist in attendance from 2-5pm. Go BIG or go home! That's what our artists were thinking when they painted for this exhibition featuring LARGE paintings. Artwork by Alain Attar, Carmelo Blandino, Ivan Murphy, Linda Nardelli, Mary Ann Tateishi, Harold Town & more! New works arriving through out the summer by gallery artists such as Sylvain Louis-Seize, Gregory Hardy, Gary Cody, Shi Le, Gordon, Alain Attar & more! 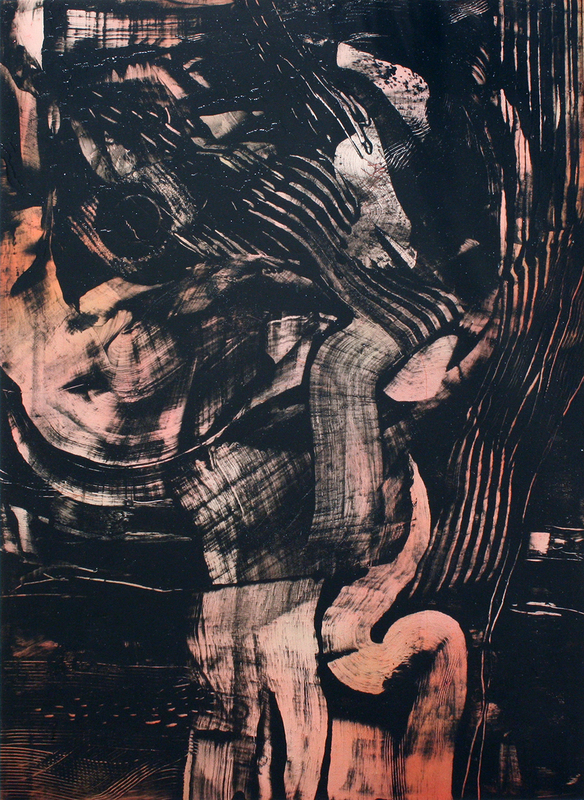 Some fantastic abstract works from renowned Regina Five artist, Ronald Bloore. April Fool’s Fun! A contemporary edge with abstraction and flower accents. New works by gallery artists, including; Tim Merrett, Jamie Evrard, Kristine Paton, Alain Attar, Karen Yurkovich, Herald Nix, and more…. A touch of something for everyone’s taste – from abstraction to realism with a summer based theme to warm you up! New works by gallery artists; Featuring works by: Luc Bernard, Doug Williamson, Shannon Williamson, Tim Merrett, Andy Petterson, and more. Group show of gallery artists, including: Ted Godwin, Doug Williamson, Simon Andrew, Mary Fox, Linda Nardelli, Alain Attar and more. Two person Exhibition. Opening: Saturday. December 4, 2010. 2-5pm. Opening: Saturday. November 13, 2010. 2-5pm. Artist in attendance. Exploring our landscape with vivid color and imagination. A little look into what is in stock…works by various artists, including: William Duma, Ted Godwin, Jennifer Hornyak, Robert Lemay, and more. Opening: Saturday. October 23, 2010. 2-5pm. Artist in attendance. New works by Red Deer professor/artist David more. Opening: Saturday. September 25, 2010. 2-5pm. Artist in attendance. Herald Nix is exploring the landscape with a new exciting look. Taking plein-air painting to a new level; exploring our landscape and color. A show not to be missed! Group show, including works by: Simon Andrew, Alain Attar, Walter Bachinski, Patrick Meagher, Luc Bernard, Ysabel Lemay, and more. Opening: Saturday. May 15, 2010. 2-5pm. Artist in attendance. works by various artists, including: Kenneth Lochhead, Ysabel Le May, Nancy Boyd, Camrose Ducote, Alain Attar, Robert Lemay, and more. New works by gallery artists; Featuring new artists /new works: Janice Mason Steeves, Luc Bernard, Gordon Lewis, Tim Merrett, Andy Petterson, and more. Harold Barling Town; 1924 -1990. A Retrospective; remembering 20 years. Opening: Saturday. February 20, 2010.